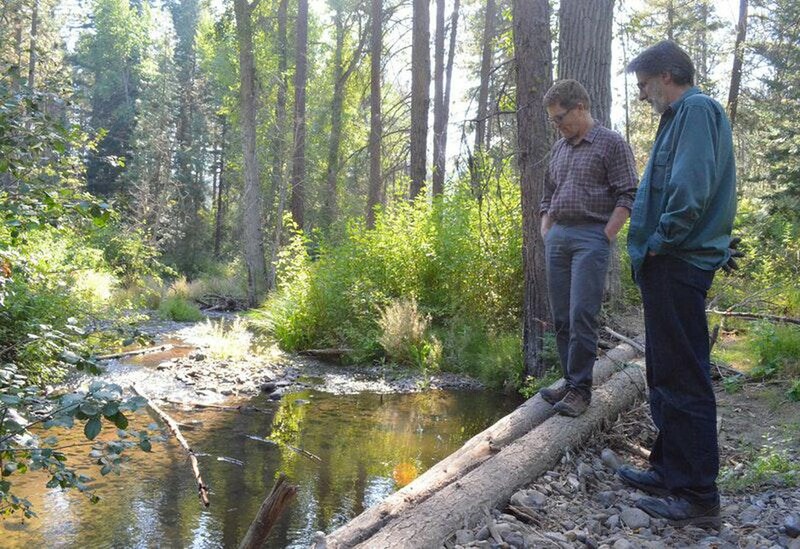 by Eilis O'Neill Follow KUOW/EarthFix Sept. 11, 2018 5:15 p.m.
Swauk Creek runs through the dry dirt and the fir and pine trees of the Wenatchee-Okanogan National Forest. Right now, it’s no more than a few inches deep and perhaps 5 to 6 feet across. But, in the spring, this creek is 20 feet wide. 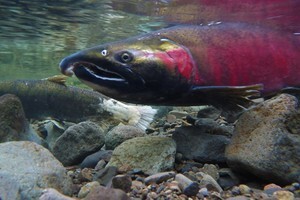 Chinook, coho and steelhead used to migrate up the Columbia River, through the Yakima River, and into this creek. But today, it has only a fraction of its historic fish runs. That’s in part because, when crews built U.S. Highway 97 across the state, they tried to straighten out the creek and force it through narrow pipes every time it crossed the road. 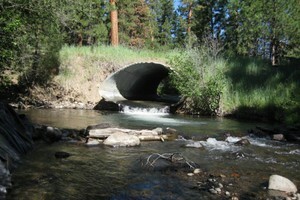 Now, the Washington State Department of Transportation is closing Blewett Pass — one of the state’s major Cascade Range crossings — for five days in order to replace of those fish-blocking pipes with a fish-friendly concrete box. The construction alone will cost taxpayers $1.2 million, though that’s nowhere near the full cost of the project.
. Washington estimates the total cost of complying with the ruling will be more than $2 billion. Nicolai says that means there’s nowhere for fish — especially juvenile fish — to rest, eat, and hide from predators. That’s why state transportation engineers are working with scientists to try to make Swauk Creek passable and habitable for fish once again. Replacing the pipe is just the first step. Petit says the pipe’s also at a bad angle. 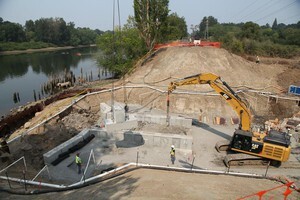 It will have enough space to put down a gravel bed so, in the winter, the creek can carve a natural path through the culvert, and, in the summer, there will be pockets of shallow, slow water where juvenile fish can rest. “So, if you were looking at it from the perspective of a fish, you might not even know you’re inside of a box culvert apart from the fact that it’s shaded,” Petit says. 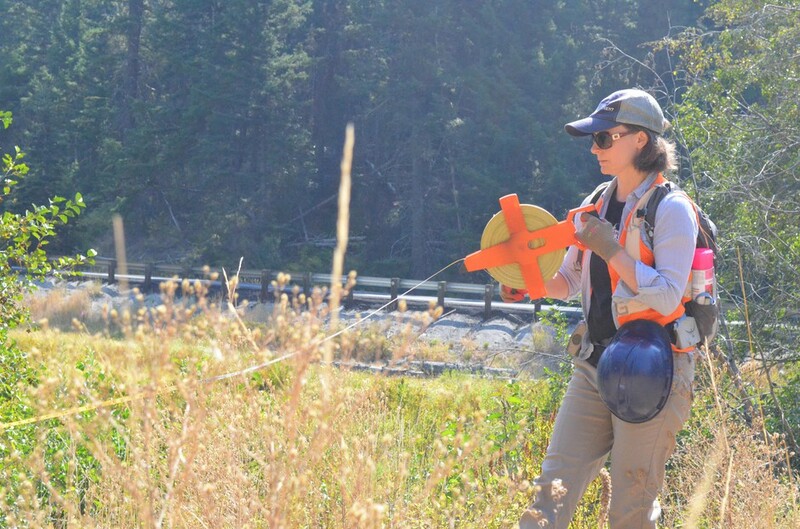 Rebecca Wassel, a biologist who helped design the project, helps mark where the creek is going to run after the culvert gets replaced.